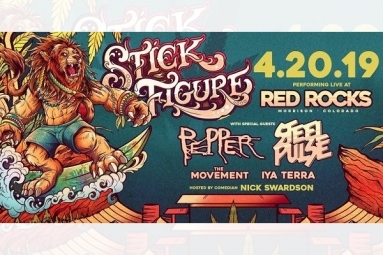 It’s going to be our biggest show yet and we are making it a weekend-long celebration in Denver for the whole Stick Figure Family with a special VIP family only show at Cervantes on 4/18 and Stick Fam activities on 4/19 before the main event on 420! Also, we rented out a whole hotel so we can all party together! There are only 100 rooms available at our hotel, which are exclusively available now with our VIP ticket bundles. Extremely limited presale packages are available now. This presale is the only way to get access to the hotel and the Cervantes show, and you're invited! General admission tickets will be on sale Friday at 10am Denver time. Reserve your VIP spot now!